How to Setup Twitter Account for Business – Twitter is one of the most powerful tools to enhance your business but it is still underutilized by many people. Being active on Twitter can lead to benefits in terms of exposure, product sales and much more. A lot of companies and businesses are becoming a part of it to get more exposures and benefits. Getting active on Twitter for a business perspective is extremely easy. 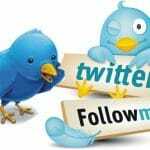 So in this article we are going to share one of the best tips to setup Twitter account for business. Twitter is also one of the biggest market phenomenons for the online businesses. It is growing on a very fast rate and is expected to grow in the same way in the coming years. Twitter offers so many benefits to the business owner in the long term. Here you will get to know the potential benefits of it. It helps in increasing the brand awareness on a very large scale. When people will be aware of your brand then they are more likely to buy products or the services offered by you. 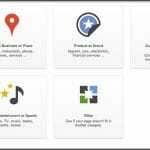 You can promote your company’s or business images, videos or other necessary details that will help in driving traffic. It also boosts your website SEO. You can get the feedback of your products or service from the customers. You will be able to connect with the customers very easily. You can follow the trends and also keep a check on the competitors. Seeing the benefits what Twitter provides, it is nearly impossible to avoid this social media platform. This is one of the most useful places to accomplish your market goals. 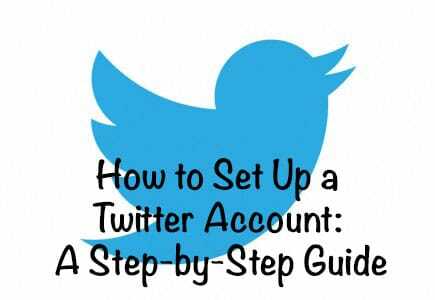 Here are the necessary steps that you need to follow to setup a Twitter account for business. This is the most obvious step, being active on Twitter will open the doors to so many opportunities to enhance your business. You just have to enter your name, work email and set a strong password for it. After making an account start adding the necessary details about the business or the service. For example the username, bio details etc. If you think your details are not attractive enough so you can change them too. Select username as you want. One thing more before personalization confirm your account. Add a relevant profile picture through which people can relate to you. Also add pictures of your service or business that can develop potential customers. 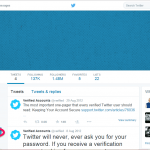 Then add Twitter header image. For the profile picture select a small yet powerful image and for the header image you can select any size of the image. Twitter is a very beneficial spot where you connect easily with people. It is also a useful medium to develop important business networks. Connecting with others will give you a head start to find influencers or genuine customers. 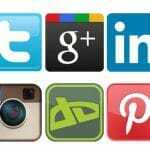 Begin adding other people and accounts that are related to your business. Once you are done with adding Twitter will give you more suggestions. These social networks are all about adding people whom you don’t know to improve your business sales and Twitter is a great spot to do it. Start tweeting about your business and service so that people get to know about your service. As per the Twitter standards you are not allowed to tweet in more than 140 words. So keeping this in mind compose your tweets short, simple and yet powerful. Twitter offers some great benefits. Businesses that use Twitter for marketing can improve their customer service, communication with customers, increase traffic on their website, and increase the rankings and much more. Therefore, if your business is not on Twitter then it is the right time to be active on Twitter.